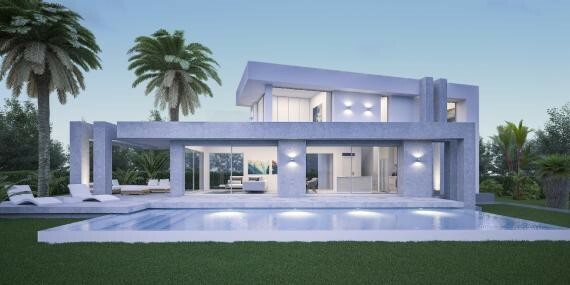 This beautiful modern Villa of 243 m2 was designed for an exquisite plot of 1000 m2, enjoying an excellent location in the new urbanization Monte Olimpo in Javea, just 8 minutes drive from the beach and all the commercial area. The Villa is spread over two levels with 3 comfortable in-suite bedrooms, a spacious living room and a fully equipped kitchen. The property has an amazing terrace with fantastic views to the valley and the sea and a 40 m2 swimming pool. 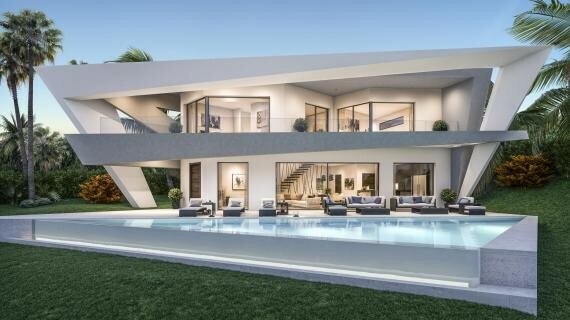 The house is designed with high quality standards, using the best materials and first quality finishes.All floor and bathroom tiles will be of the luxuy brand Porcelanosa. Terrace tiles will be made of natural stones. The kitchen is italian design with full equipped Bosch appliances. 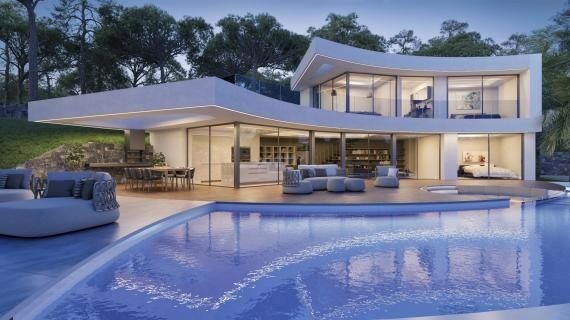 We will hand over the Property fully finished with garden, plants, natural stone walls, terraces, lights, and just ready to move in. This Property enjoys panoramic landscapes and lovely sea views.